The Film Emporium has been very review-centric of late, but I have been privileged to have been invited along to some exciting screening opportunities. Over the last two weeks I have been covering the Italian Film Festival - reviews of Caesar Must Die, Magnificent Presence, Kryptonite! Take it Easy! and Shun Li and the Poet can be found via the '2012 Festivals' tab above - and a great week of screenings has resulted in my reviews of Killing Them Softly (Oct. 11) and Looper (Sept. 27) to be completed and posted ahead of their Australian release. Coming later in the week, expect my review of Searching For Sugar Man, an extraordinary documentary in cinemas Oct 4. Also, if you're interested in checking out how the new Studio Ghibli film shapes up, check out my review of From Up On Poppy Hill. Alex shares his Ten Best Films About Addiction. Genius. 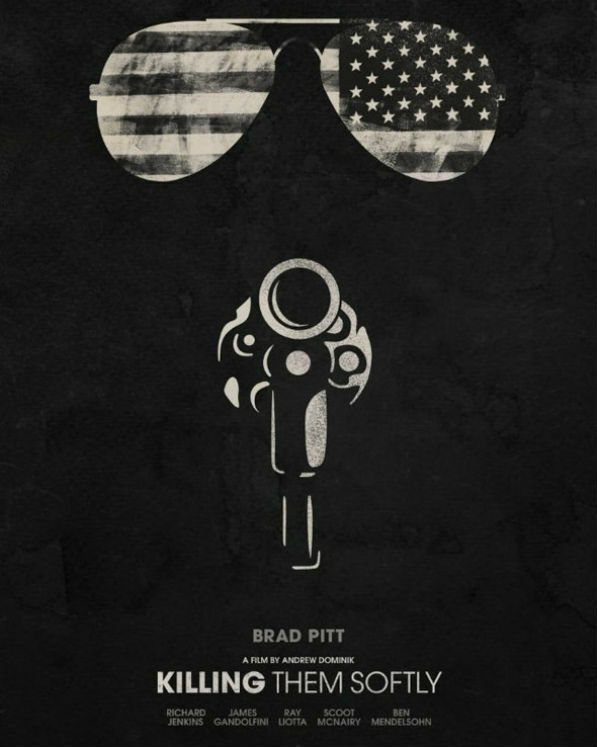 Killing Them Softly opens in Australia October 11, but has just hit screens in the UK. Samantha @ An Online Universe writes a great review of the film. The new film from Andrew Dominik is sure to provoke plenty of divisive discussion. CS shares his thoughts on Frances Ha from TIFF for Anomalous Material. At Big Thoughts From A Small Mind CS reviews Cate Shortland's war drama Lore. Bonjour Tristesse has just celebrated his Two Year Anniversary and has his readers informed about the Vancouver International Film Festival preview. I really enjoy reading Nick's reviews. Recently he tackled Once Upon A Time In Anatolia. James' insight continues to impress. He always finds an interesting feature to discuss. His analysis of Carl Theodor Dreyer's The Passion Of Joan Of Arc, one of the greatest of all films, is worth a read. Margaret honours the wonderful Six Feet Under in Saturday TV's Special. I 'think' another venture through its five extraordinary seasons will cement it as the greatest television drama of all time. Then there's The Sopranos. Sam reviews The Master. Now I'm not reading this until I have seen the film myself (Nov. 8 at the latest - the day it opens here) but his score is pleasing. Several negative reviews are concerning, but I have also seen the film called "so good it makes everything else released this year look...bad". Blake Howard was lucky enough to recently interview John Rhys-Davies for Graffiti With Punctuation. Cameron Williams reviews The Imposter, one of the year's top films so far. Good news for Australian audiences, it is set to hit screens Nov. 29. ChocBomb is an Australian-exclusive version of Rotten Tomatoes. I am a registered critic. To see what top Australian critics think of all of the new releases - including Ruby Sparks and Your Sister's Sister - check out ChocBomb. Corey wraps up TIFF epically. In 'The Essentials' series at Love and Squalor, the focus is Black Narcissus. AMAZING film. Tom Clift has Joss Whedon's Much Ado About Nothing covered. Speaking of The Master - is it obvious I am excited? - Ryan and Jandy discuss the film in the latest ep. of The Matineecast. Finally, here's a great review of Holy Motors from Matt Singer. He watched it at Fantastic Fest. It is exiting to see everyone's reactions to this confouding, but unforgettable film. Thanks Andy! Some seriously great stuff here. 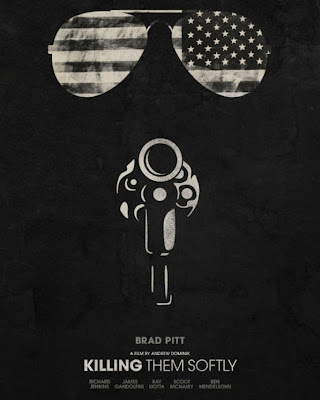 Nice post, looking forward to seeing Killing Them Softly! Thanks! It is a significant release, be sure to check it out. Thank you for the link! Glad you like the show so much too, I recently rewatched the whole thing and it's just amazing. Love The Sopranos too! I have only ever watched Six Feet Under and The Sopranos through once each. That's not enough. Great roundup of posts, thanks for including me Andy! Thanks for the link, Andy! And the kind words! Thank for the double link love this week, Andy! I truly appreciate it.